…Because today the rain is back. And it is glorious. an ode to pluviosity: June 24, 2012. 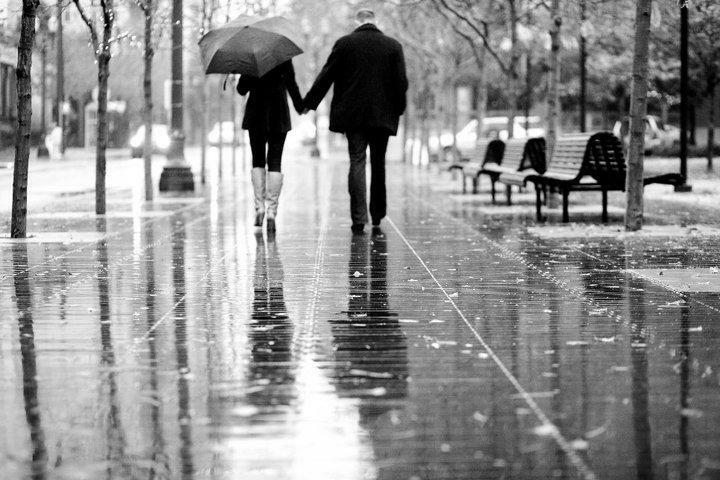 A few months ago (in January), my friend Elvira posted in her blog about pluviosity. I immediately loved the concept. As a native Portlander and having gone to school in Seattle, I am very familiar with “a state characterized by much rain.” I biked through Portland’s winter this year, decked out head to toe in (sometimes) questionable rain gear, often arriving at work drenched after a 6 mile ride, forced to scatter my outer gear and shoes around the staff room so that it could dry before my descent down the hill and into the driving rain once more. 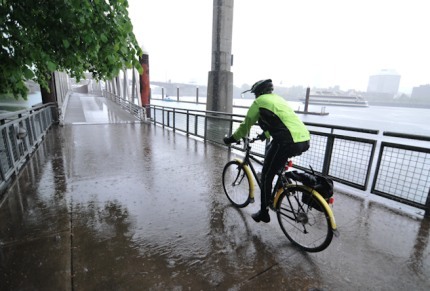 I have to admit, once I got decent rain gear, I actually enjoyed biking through the rain at times. There is something quite powerful about using one’s muscle power to propel oneself to your intended destination, impervious to water (except for my feet, always wet feet). Once May hit, I thought that the winter and spring showers were over. For a few days (sometimes a few days in a row! ), the sun came out and graced Portland with its warmth, drying the saturated sidewalks. But alas, the rain has continued well into June. This weekend was fairly wet, downpours interspersed with spots of sunshine. At times throughout the last month or so, I have put my rain gear away into my closet, only to take it out yet again. I’ve written about seasonal transitions on this blog before: fall to winter and winter to spring, the seasonal transitions in Portland much more dramatic than in San Francisco, where the leaves change on trees in 70 degree January days. But this year, the transition to summer seems a lot longer. A few weeks ago, frustrated with the my state of ever-drenched hair and pants, I decided that I needed to practice more rain-love. Though it is tiresome to rarely see the sun from the months of November to May (that’s 6 whole months! ), Oregon’s wetness is what makes our landscape so lush. 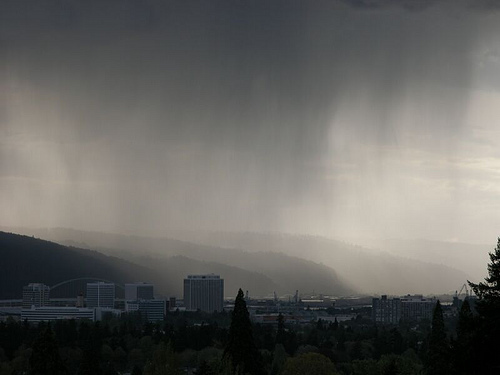 So below is a poem of gratitude-of-sorts, an ode to Portland’s pervasive pluviosity. As the patter of rain remains into June, it seeps into our existence like a slithering snake through the brush. In the fog of half-sleep, we become aware of its presence in the morning, the sound of droplets hitting wood, sending ripples through the puddles outside our window. We turn over in bed, the sink of pillow and mattress suddenly enveloping us, the weight of a down comforter keeping us warm and dry, a retreat into sleep. But we rise, and stumble into the half light of morning, the world outside sodden and grey, a reminder of the winter days not so long ago. We sip our tea in mugs at the breakfast table, its warm liquid cascading down our throats like a tepid waterfall, warming our insides against the coming damp. We watch the rain falling against the window, hitting the glass on its way down. And then we don rain pants and coats, barriers to the wet. As the door opens, the roar of that wetness hitting pavement becomes a little more real. We’re in it, suddenly pelted, our faces wet with droplets, shoes stomping puddles, bike tires whirring, splashing, singing. The grey clouds are everpresent, no sign of blue. It gives this place a muted look, memories of sun far away as we live in our wet box of a city. Rain is all around us, never leaving, flattening leaves, soaking the earth, leaving our bones cold but our spirits revived, the freshness of the air and the smell of damp earth a reminder of life and growth. We must always endure, enjoy, be enthralled by the wetness of winter, and its Pacific pluviosity before we’re granted the permanent sun and blue. The green growth and grandeur of this place only exists because of the persistent wet, the glistening droplets on the leaves, the silence, the plip plap plop of the rain, its droplets flattening out onto the awaiting green of leaves. Tags: bicycles, memory, morning, Nature, poetry, Portland, rain, seasons, spring, urban beauty. Bookmark the permalink.